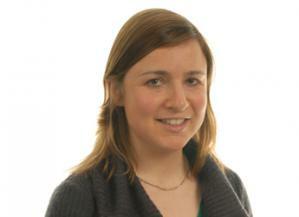 Katrina Brown is a human geographer experienced in researching practices of rural and environmental governance in the interdisciplinary context of the James Hutton Institute (formerly Macaulay Land Use Research Institute) working at the Socio-Economics and Geographical Sciences Group (SEGS). Recently Katrina has held a Research Associate position at the Centre for Rural Research in Trondheim, Norway. Her core area of expertise concerns the interrelations between formal institutional practices of law, regulation and policy, and everyday cultural norms and spatial practices, in understanding and managing multiple, competing claims to land. These have been investigated in relation to many topics, including public rights of outdoor access, common land (in both England and Scotland), and the collective delivery of ecosystem services, especially in relation to health and wellbeing. Katrina is experienced in the use of qualitative methodologies and recent projects have developed innovative mobile and visual methods – extending 'go-along' interviewing using ‘headcam’ video techniques - for investigating social relationships and land use practices as they relate to specific environments. A related article won the Sage prize for most innovative contribution to Sociological Research Online in 2008. A Participatory Video film was also made in collaboration with the Cairngorms Local Outdoor Access Forum as a tool to stimulate debate amongst practitioner and policy stakeholders about tackling access management issues. Current research examines the relationship between health and wellbeing on one hand, and access to – and experiences of – outdoor environments, landscapes and ‘greenspace’ on the other. We focus on deepening understanding of the social, cultural and institutional mechanisms through which people’s engagements with environments influence their health; for example, how meanings and emotional and sensory experiences of environments (which can produce wellbeing) are shaped by multiple and contested social orderings. This informs knowledge of how we can better enable and manage participation in outdoor activity and recreation to deliver wellbeing benefits. This theme examines how human-animal relations shape (predominantly upland) landscapes and ecologies, focussing on three main types of cross-species dynamics: 1) the relational practices required between land managers, sheep and dogs in upland grasslands to generate and maintain particular spatial patterns of grazing pressure and, in turn, desired assemblages of vegetation and landscape; 2) how responsible human-animal relationships are achieved in practice in key cross-species contact zones, focussing on the case of the relational competencies and attunements demanded between dogs, humans and environments to be able to choreograph outdoor recreation practices so as to avoid wildlife disturbance and harm to livestock; and 3) interactions between outdoor recreation and reindeer herding practices. This research integrates the above two themes by examining how institutional practices mediate and balance objectives relating to land and environmental management on one hand, and participation, health and social inclusion on the other. It centres on understanding and resolving conflicts, such as those concerning: outdoor leisure and reindeer herding; mountain biking in upland environments; and, dogs and disturbance of ground-nesting birds. Katrina and colleagues are working now to extend the work on Mobile Video Ethnography (with minicams) and Participatory Video to explore how video can be used as a tool to: a) understanding and reduce land use conflicts; b) understand animal-human interactions and their governance. ‘Assessing future recreation demand’ Scottish Natural Heritage Commissioned (ROAME No. F05AC701) 2010. ‘Understanding and influencing positive environmental behaviour among farmers’, for DEFRA, 2007. ‘Challenges in creating local agri-environmental cooperation action amongst farmers and other stakeholders’ for SEERAD Flexible Fund, Nov 2003-March 2004. Brown, KM. ; Flemsæter, F.; Rønningen, K. (2019) More-than-human geographies of property: Moving towards spatial justice with response-ability., Geoforum, 99, 54-62. Setten, G.; Brown, K.M. (2018) Ecosystem services as an integrative framework: what is the potential? , Land Use Policy, 75, 549-556. Setten, G.; Brown, K.M. ; Rørtveit, H. (2018) Landscape and social justice., In: Howard, P., Thompson, I., Waterton, E. & Atha, M. (eds.). Routledge Companion to Landscape Studies. 2nd edition, Routledge. Chapter 33, pp418-428. Brown, K.M. (2017) The haptic pleasures of ground-feel: The role of textured terrain in motivating regular exercise., Health and Place, 46, 307-314. Brown, K.M. ; Herrett, S. (2017) Digital Storytelling Mapping (DSM). UnderStory - storying woodland use, management and expansion: a methodology., Report on Innovative Digital Storytelling Methods for AM, RESAS 1.4.3a Deliverable D3, 14pp. Brown, K.M. ; Eastwood, A.; Fischer, A.; Herrett, S.; Irvine, R.J. (2017) D2: Report on benefits from woodland derived by communities from case study areas and the main trade-offs., Report to RESAS for WP1.4.3. Brown, K.M. (2016) The role of belonging and affective economies in managing outdoor recreation: Mountain biking and the disengagement tipping point., Journal of Outdoor Recreation and Tourism, 15, 35-46. Brown, K.; Irvine, J.; Fischer, A ; Eastwood, A ; Herrett, S. (2016) 1.4.3c D1: Report on stakeholder engagement to help co-construct the research agenda in the Cairngorms based case study on accessible rural woodland expansion., Logged in RESAS 143 outputs folder. Spinney, J.; Aldred, R.; Brown, K.M. (2015) Geographies of citizenship and everyday (im)mobility., Geoforum, 64, 325-332. Flemsaeter, F.; Setten, G.; Brown K.M. (2015) Morality, mobility and citizenship: Legitimising mobile subjectivities in a contested outdoors., Geoforum, 64, 342-350. Brown, K.M. (2015) The role of landscape in regulating (Ir) responsible conduct: moral geographies of the ‘proper control’ of dogs., Landscape Research, 40, 39-56. Brown, K.M. (2015) Leave only footprints? How traces of movement shape the appropriation of space., Cultural Geographies, 22, 659-687. Brown, K.M. (2015) Where does mountain biking belong? A tale of two outdoors., Outdoor Recreation Network Journal, 26, Autumn 2015. Brown, K.M. (2014) Spaces of play, spaces of responsibility: creating dichotomous geographies of outdoor citizenship., Geoforum, 55, 22-32. Brown, K. M.; Banks, E. (2014) Close encounters: using mobile video ethnography to understand human-animal relations., In: Bates, C. (ed.). Video Methods: Social Science Research in Motion. Routledge, London, Chapter 5, pp95-120. Dinnie, E.; Brown, K.M. ; Morris, S. (2013) Community, cooperation and conflict: negotiating the social wellbeing benefits of urban greenspace experience., Landscape and Urban Planning, 112, 1-9. Brown, K.M. (2012) Sharing public space across difference: attunement and the contested burdens of choreographing encounter., Social and Cultural Geography, 13, 801-820. Brown, K.M. ; Dilley, R. (2012) Ways of knowing for "response-ability" in more-than-human encounters: the role of anticipatory knowledges in outdoor access with dogs., Area, 44, 37-45. Miller, D.R. ; Morrice, J.; Aspinall, P.; Brewer, M.; Brown, K.; Cummins, R.; Dinnie, E.; Donaldson-Selby, G.; Hester, A.J. ; Horne, P.; Mitchell, R.; Morris, S.; Munoz-Rojas, J. (2012) GreenHealth progress report., Project Progress Report May 2012. Setten, G.; Brown K.M. (2012) Landscape and social justice., In: Howard, P., Thompson, I.H. & Waterton, E. (eds.). The Routledge Companion to Landscape Studies. Routledge, London, Chapter 21, pp243-252. Jones, G.; Huband, S.; Brown, K.M. (2011) Trends in common grazing: first steps towards an integrated needs-based strategy ., Report for the the European Forum on Nature Conservation and Pastoralism. Brown, K.M. (2011) Advice for Scottish outdoor access code - off-road cycling., Scottish Mountain Biking Development Consortium. Miller, D.R. ; Morrice, J.G. ; Aspinall, P.; Brown, K.; Cummins, R.; Dinnie, E.; Gilbert, A.; Hester, A.; Horne, P.; Mitchell, R.; Morris, S.; Roe, J.; Ward Thompson, C. (2011) Contribution of green and open space in public health and well-being., RERAD, Scottish Government, Progress Report 2010/11. Project no. MLU/ECA/UGW/847/08. Miller, D.R. ; Morrice, J.G. ; Aspinall, P.; Brown, K.; Cummins, R.; Dinnie, E.; Gilbert, A.; Hester, A.J. ; Horne, P.L. ; Mitchell, R.; Morris, S.; Roe, J.; Ward Thompson, C. (2011) GreenHealth., RERAD, Scottish Government, Progress Report, 2010/11. Flemsaeter, F.; Brown K.M. ; Setten, G. (2011) Friluftslivets moralske landskap - trender og tradisjoner (Moral landscapes of outdoor recreation: trends and traditions)., In: Haugen, M.S. & Straete, E.P. (eds.). Rurale Brytninger (Rural Conflicts). Tapir Akademisk Forlag, Trondheim, 245-265. Flemsaeter, F.; Brown, K.M. ; Holm, F.E. (2011) Friluftslivets moralske landskap - trender og tradisjoner., In: Stræthe, E.P. & Haugen, M. Rurale Brytninger, (Rural Conflicts). Tapir, Trondheim, pp234-251. Curry, N.; Brown, K.M. (2010) Differentiating outdoor recreation: evidence drawn from national surveys in Scotland., Journal of Policy Research in Tourism, Leisure and Events, 2, 29-50. Blackstock, K.L. ; Ingram, J.; Burton, R.; Mills, J.; Brown, K.M. ; Slee, B. (2010) Understanding and influencing behaviour change by farmers to improve water quality., Science of the Total Environment, 408, 5631-5638. Miller, D.R. ; Towers, W.; Blackstock, K.L. ; Munoz-Rojas, J.; Kenyon, W.; Brown, K.M. ; Waylen, K.; Morrice, J. (2010) MLURI response to the consultation on the draft Land Use Strategy., Scottish Government Draft Land Use Strategy Classification, Scottish Government, Edinburgh. Brown, K.M. ; Spinney, J. (2010) Catching a glimpse: the value of video in evoking, understanding and representing the practice of cycling., In: Fincham, B., McGuinness, M. & Murray, L. (eds.). Mobile Methodologies. Polity, Cambridge, pp130-151. Scott, A.; Carter, C.; Brown, K.M. ; White, V. (2009) Seeing is not everything: Exploring the landscape experiences of different publics., Landscape Research, 34, 397-424. Miller, D.R. ; Morrice, J.G. ; Aspinall, P.; Brown, K.; Cummins, R.P. ; Dilley, R.; Gilbert, A.; Hester, A.J. ; Harthill, P.L. ; Mitchell, R.; Roe, J.; Ward Thompson, C. (2009) Contribution of green and open space in public health and well-being., 1st Annual Report to Scottish Government, June 2009. Project MLU/ECA/UGW/847/08. Miller, D.R. ; Morrice, J.G. ; Aspinall, P.; Brown, K.; Cummins, R.P. ; Dilley, R.; Gilbert, A.; Hester, A.J. ; Harthill, P.L. ; Mitchell, R.; Roe, J.; Ward Thompson, C. (2009) Scontribution of green and open space in public health and well-being., 2nd Progress Report to Scottish Government, November 2009. Project No. MLU/ECA/UGW/847/08. Brown, K.M. (2007) Understanding the materialities and moralities of property: reworking collective claims to land., Transactions of the Institute of British Geographers, 32, 507-522. Brown, K.M. (2007) Reconciling moral and legal collective entitlement: Lessons for community-based land reform., Land Use Policy, 24, 633-643. Mansfield, L.; Burton, R.; Schwarz, G.; Brown, K.; Convery, I. (2006) The heft: a multifunctional management tool., The International Journal of Biodiversity Science and Management, 2, 238-241. Brown, K.M. (2006) New challenges for old Commons: The role of historical common land in contemporary rural spaces., Scottish Geographical Journal, 122(2), 109-129. Brown, K.M. (2006) The role of moral values in contemporary common property enactment., Norsk Geographisk Tidsskrift - Norwegian Journal of Geography, 60, 89-99. Brown, K.M. and Slee, R.W. (2004) Exploring the relationship between common property, natural resources and rural development: the case of crofting common grazings., Aberdeen Research Consortium Discussion Paper Series, People Environment and Development, No.2004-3. Macaulay Institute, Aberdeen, 29pp. Brown, K.M. (2015) Moral landscapes of wildness and the regulation of human-animal relations., Landscape, Wilderness and the Wild Conference, Newcastle University, 26-29 March 2015. Burton, R.J.F. ; Schwarz, G.; Brown, K.M. ; Convery, I.T. ; Mansfield, L. (2009) The future of public goods provision in upland regions: learning from hefted commons in the Lake District, UK., In: Bonn, A., Allot, T., Hubacek, K. & Stewart, J. (eds.). Drivers of Change in Upland Environments. Routledge, Abingdon, Oxon, Chapter 17, pp309-322. Setten, G.; Brown, K.M. (2009) Moral landscapes., In: Kitchin, R. & Thrift, N. (eds.). International Encyclopedia of Human Geography. Elsevier, Oxford, Volume 7, 191-195. Brown, K.M. (2007) The challenge of maintaining the salience of common property rights with increasing cultural and socio-economic heterogeneity., In: Adapting Rules for Sustainable Resource Use (eds. A. Smaigl and S. Larson). CSIRO Sustainable Ecosystems, Townsville, Queensland, pp58-75. Brown, K.M. (2005) Implications of post-productivist rural change for common property enactment., In: Landscape, Law and Justice, (eds. M. Jones and T. Peil). Tapir, Oslo. Slee, B.; Blackstock, K.L. ; Brown, K.M. ; Dilley, R.; Cook, P.; Grieve, J.; Moxey, A. (2008) Monitoring and evaluating the effects of land reform on rural Scotland - a scoping study and impact assessment., Agriculture, Fisheries and Rural Affairs. Social Research Findings, No 1, 6pp. Blackstock, K.L. ; Brown, K.M. ; Burton, R.; Dilley, R.; Slee, B.; Dwyer, J.; Mills, J.; Ingram, J.; Taylor, J. (2008) Good practice guide: influencing environmental behaviour using advice., Final report submitted to DEFRA. Dwyer, J.; Mills, J.; Ingram, J.; Taylor, J.; Burton, R.; Blackstock, K.L. ; Slee, B.; Brown, K.M. ; Schwarz, G.; Matthews, K.B. ; Dilley, R. (2008) Understanding and influencing positive behaviour change in farmers and land managers - a project for Defra., Final report submitted to DEFRA.